The Lego minifig. That 1.5-2", articulated plastic figurine that brings your Lego creations to life. The history of the minifig is long and illustrious, and over the years enthusiasts have created their own custom ones to reflect their personalities and interests. 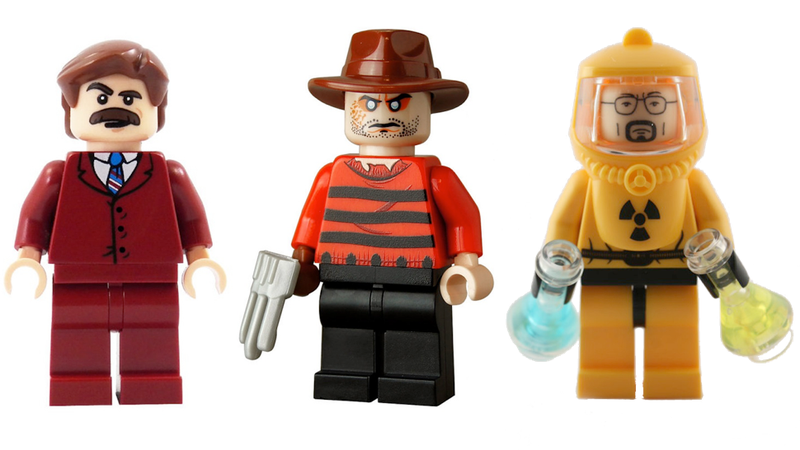 Here are the coolest minifigs you can now buy on Etsy. The Blocking Dead by miniBIGS. Breaking Bad's Walter White minifigs by Tinkerbrick. Throne of Bricks by miniBigs. Hunger Games collection by customBRICKS. "70s News Anchor" (obviously Ron Burgundy) by miniBIGS. The Beatles on the Ed Sullivan Show by customBRICKS. And just in time for Halloween a Freddy Krueger minifig by customBRICKS.